This series is structured as an intensive two day workshop designed to get you to an advanced level of editing. Broken down into five modules, each module targets a specific part of the LR program. • You will create an active structure within your workflow that supports those needs. You will understand how the LR catalog tracks and manages images and how to maximize the file structure for effective workflow. You will get hands on training to restructure your drives to conform to that structure. This module deals with two parts; Understanding how LR works and structuring workflow to take advantage of the various tools LR has to offer. You will understand the steps LR uses to ingest, catalog and edit images and how it can maximize your workflow time for effective time management. You will have a workable and repeatable process for working within Lightroom that can be implemented right away and modify to fit your needs. This module deals with two distinct parts; keywords and presets. • You will understand hierarchies and basic keywording techniques and be able to apply them to your own workflow. • You will understand what presets are and how to implement them into your own LR workflow. You will be able to analyze your images and determine proper keywords for easier cataloging. You will be able to create workable presets for your workflow. This module deals specifically with the editing module. You will understand how LR handles image processing and become familiar with the editing module tools. You will get a basic understanding of how to manipulate tones to enhance an image. You will also explore editing methods for efficient editing, editing multiple images at one time, applying global edits and more. You will understand and create editing presets that make sense and simplify editing. In this module we will discuss methods of outputting images for screen and print. You will understand how LR processes images in a non-destructive manner and how to create export presets based on analysis from part one of this series. You will learn efficient output workflow and organization You will be able to create practical and useable watermarks and be able to embed copyright and ownership metadata. 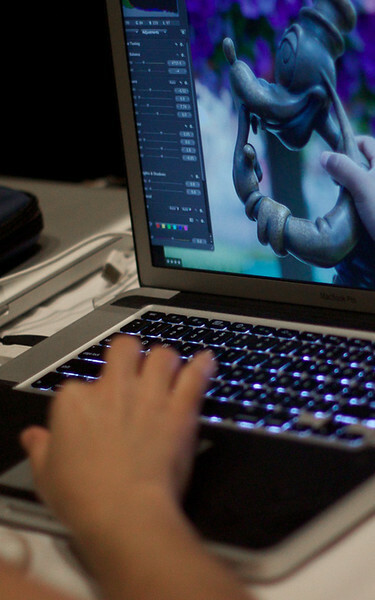 This workshop requires hands on use of Adobe Lightroom. Attendees will be required to bring their laptops (or desktop as the venue permits) in order to get the most value from the workshop. Venue considerations need to take this into account. LIABILITY WAIVER: Laptops, computers, accessories, cameras and other equipment brought in by attendees for the purpose of this workshop is solely their responsibility. I can not be held accountable for the theft or damage to attendee's equipment during the workshop. Attendees will be required to sign a waiver.